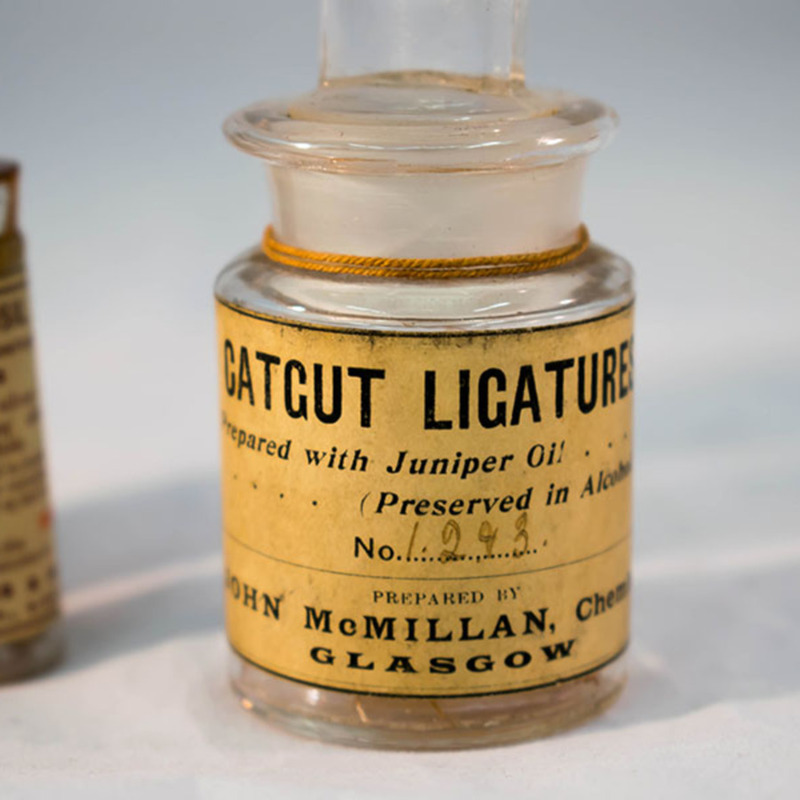 Catgut ligature, in glass-stoppered bottle, c 1929. 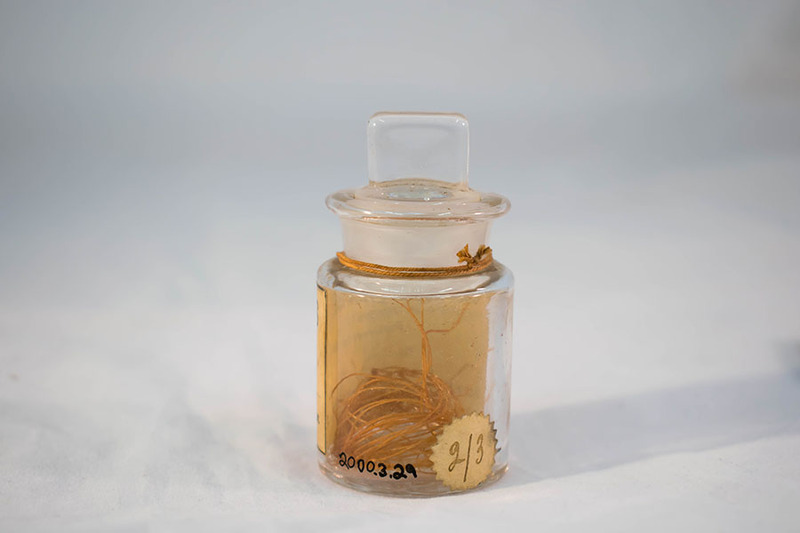 A ligature is a piece of thread (suture) that is used to tie off an anatomical structure, most commonly a blood vessel. This prevents any form of major blood loss during a procedure. 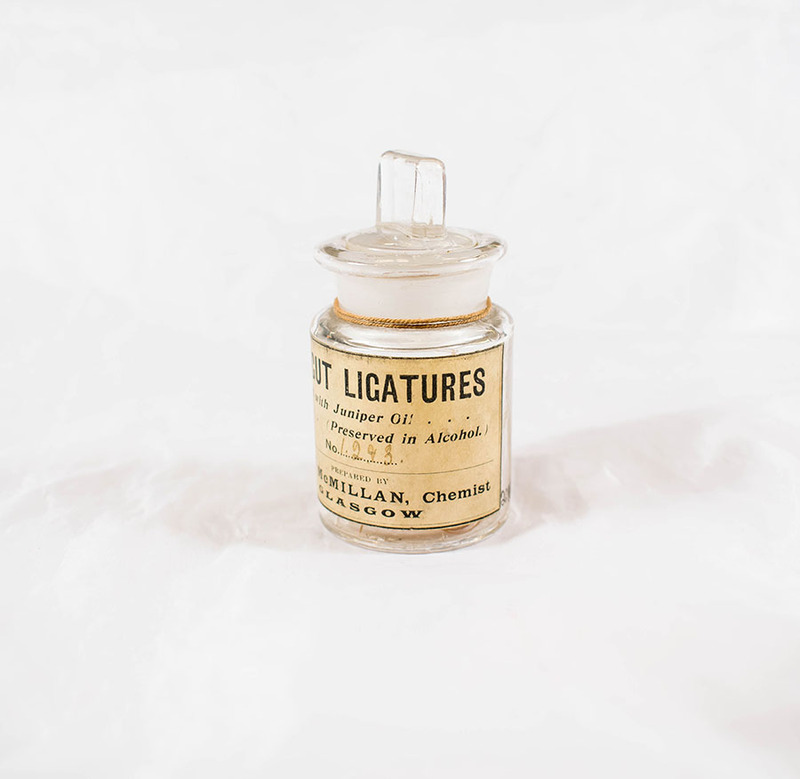 Ligatures were made popular by barber surgeon, Ambroise Pare, during the 1500s. 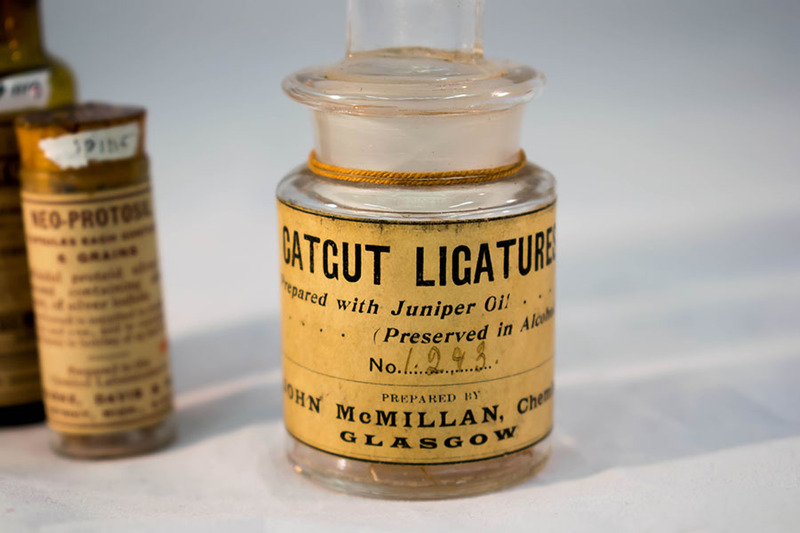 John McMillan Ltd.; c.1868-1960; Chemists, “Catgut Ligatures,” Heritage, accessed April 20, 2019, https://heritage.rcpsg.ac.uk/items/show/62. 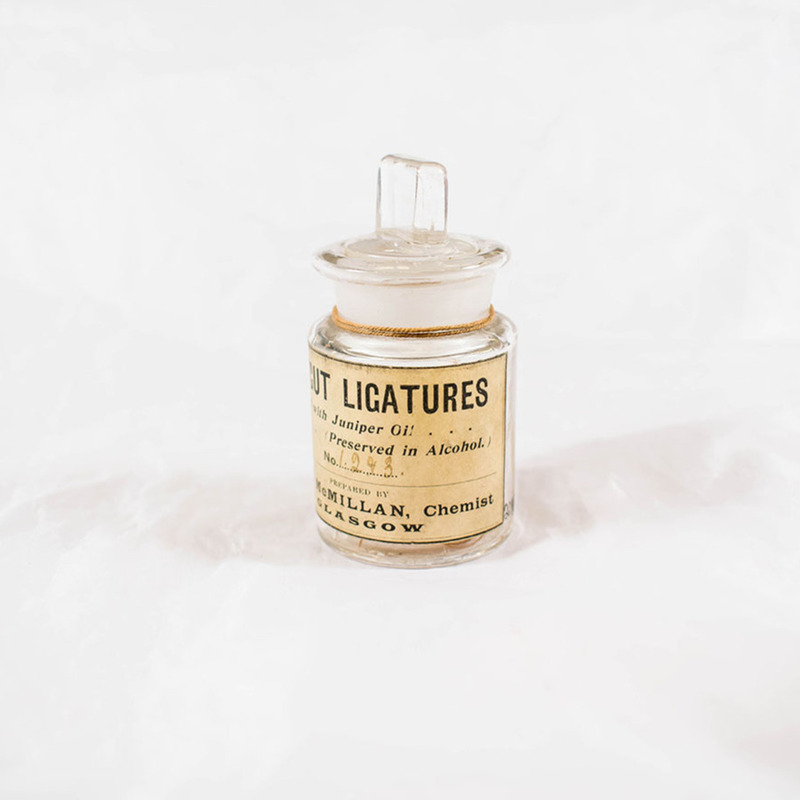 Description: Catgut ligature, in glass-stoppered bottle, c 1929. 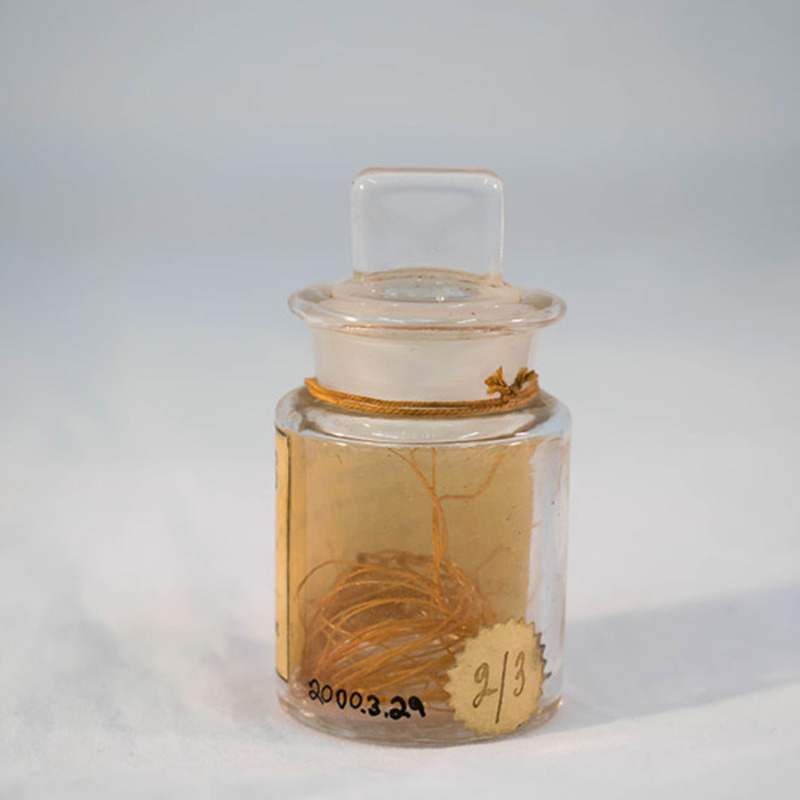 A ligature is a piece of thread (suture) that is used to tie off an anatomical structure, most commonly a blood vessel. This prevents any form of major blood loss during a procedure. Ligatures were made popular by barber surgeon, Ambroise Pare, during the 1500s.